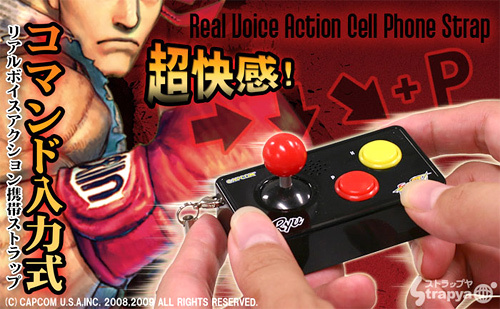 Street Fighter Joystick Cellphone Straps – With Real Voice Action! | OhGizmo! Street Fighter Joystick Cellphone Straps – With Real Voice Action! By Andrew Liszewski on 08/12/09 • Leave a comment! The joysticks straps appear to be available in Ken, Ryu, Dhalsim and Chun Li versions, and before you get all excited about importing them, just keep in mind they’re each limited to 1,000 pieces (~$13 each) and will probably sell out well before they reach North America.